Do you need to find a retreat location for an upcoming teambuilding event? Camps and retreat venues are an ideal setting for hard-working corporate or nonprofit teams to discover new synergies and create lasting memories. Planners contact us to learn more about group retreat locations in their area to help their teams come together. Corporate retreats can take on the atmosphere of their setting. A mountain lodge, prairie ranch or ocean-side hideaway makes an ideal setting for strategic planning, leadership training and team-building get-togethers. 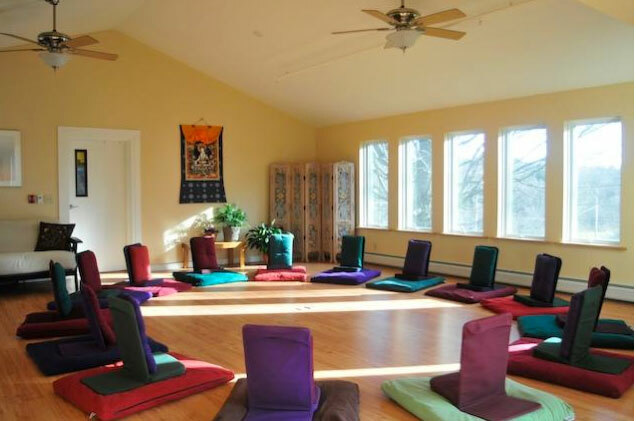 We partner with local retreat centers and retreat venues all across North America. You will learn more about our retreat sites below. Purge the pressures of the workplace in a relaxing and inspiring environment. Provide extra care and special services for small or large executive groups. Retreat centers locations aren't just well-suited for companies and organizations, but they also are fit for school groups and so much more! Our available group retreat locations have hosted a wide variety of different events. Weddings, reunions, anniversaries, receptions and parties of any kind are fitting for camps and retreat centers. That which is different is inherently more memorable! Start a new tradition at a camp or retreat center. You will have no shortage of retreat venues to choose from. Check availability of our retreat venues and view rates from the following list of member venues. Also try our assisted search to find a camp and retreat venue near you. Feed the fires of your creativity at a camp or retreat center! You belong here.